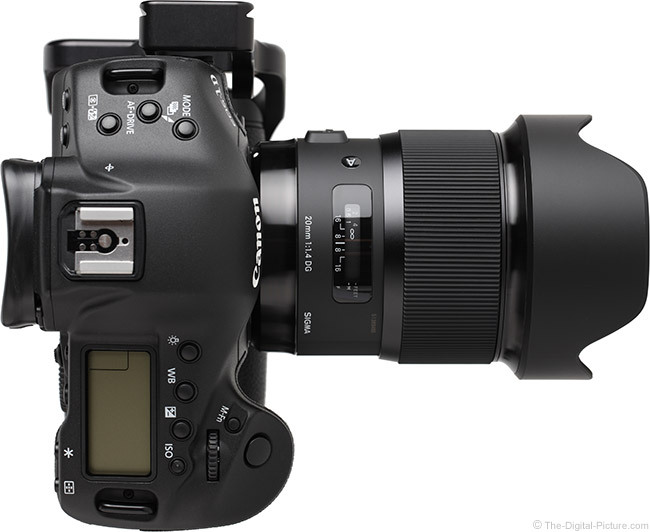 Image quality results from the EOS 5Ds R and Canon EOS-1Ds Mark III along with MTF measurements have been added to the Sigma 20mm f/1.4 DG HSM Art Lens page. Standard and on-camera product images are also available. B&H has the Sigma 20mm f/1.4 DG HSM Art Lens in stock. 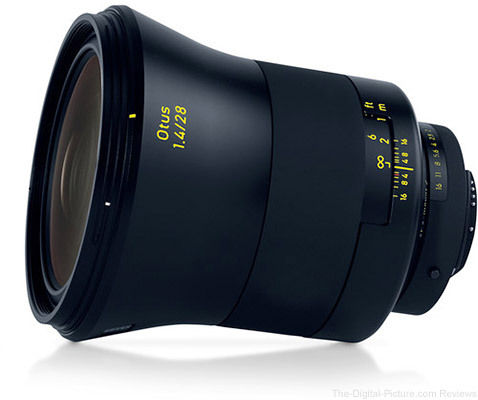 B&H has the Zeiss Otus 28mm f/1.4 Lens available for preorder with free expedited shipping. The lens is expected to be available at the end of February 2016. If this lens is on your wish list, you may want to sit down before gazing upon the unknown-until-now price. To put it mildly, it is not insubstantial. My family wishes you and yours a great Thanksgiving! The busyness of life pulls us down and consumes our time and energy, making it is easy to forget how blessed we really are. 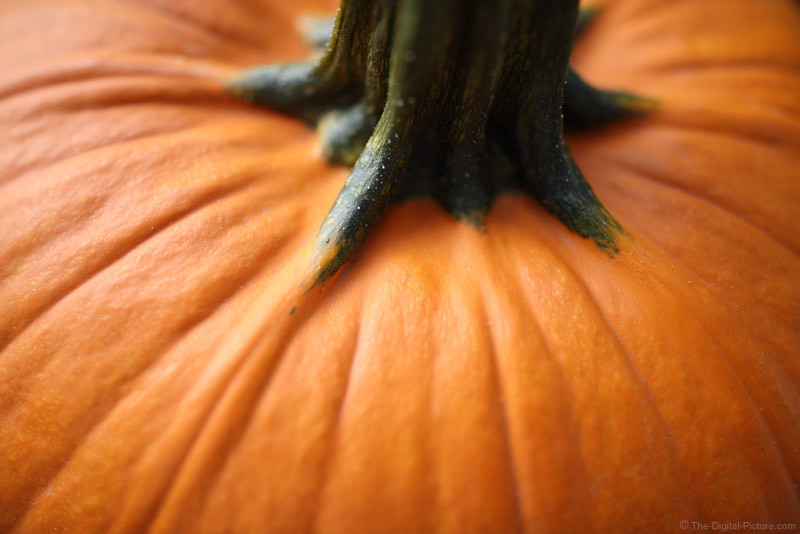 On this Thanksgiving holiday, make a conscious effort to take your attitude of gratitude to the next level. You and those around you will be thankful that you did! Visit the turkey picture page for a few more details about this photograph. See the entire article on the Canon Professional Network for full details. In this video Karl Taylor and Urs Recher demonstrate how to shoot a simple 3 light portrait using Siros lights and softboxes. B&H carries Broncolor Siros lights and Broncolor light modifiers. 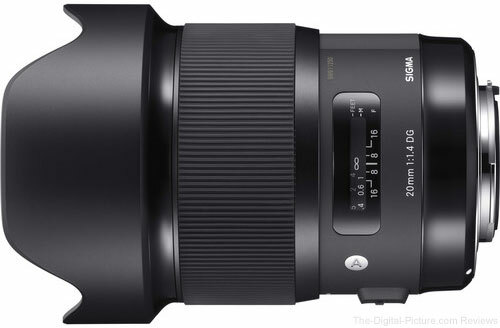 B&H has the Sigma 20mm f/1.4 DG HSM Art Lens in stock with free expedited shipping. For a limited time, new users can Save 40% off any SmugMug Package. There are several website packages to fit a wide variety of budgets from $3.34 to $25.00 per month (billed annually). MELVILLE, N.Y. — Canon U.S.A., Inc., a leader in digital imaging solutions, launched a promotion for CarePAK PLUS (which includes accidental damage protection) just in time for the holidays. Now through Saturday, January 9, 2016, Canon's CarePAK PLUS is available at no cost to customers who purchase from a list of six professional Canon EOS DSLR camera bodies and eight EF USM lenses plus “kit” lenses on eligible camera bodies from a Canon Authorized Dealer. Providing protection from accidental damage like coffee spills to additional hardware coverage from excessive wear and tear on mechanical and electrical issues, CarePAK PLUS coverage lasts 13 months from the date of product purchase. And as an added bonus, CarePAK PLUS is transferable, meaning the customer can give the product as a gift this holiday season and the benefits will transfer. B&H carries Canon gear which features their excellent Service and Support staff. Demonstrating the strength of our award-winning service and support, we helped Gloria, a 91 year-old grandmother with almost no photography experience, put together something very special for her family. Watch as she pulls off the impossible. What is the World's Ugliest Lens? Since I recently declared what I thought was World's Most Beautiful Lens, I thought that it would only be fitting to share what I thought was the world's ugliest lens. Problem is ... I find all lenses beautiful, so singling out a lens for this award was challenging for me. To quickly narrow down the candidate field, I limited this award to only lenses currently available for retail purchase in new, unopened box condition. 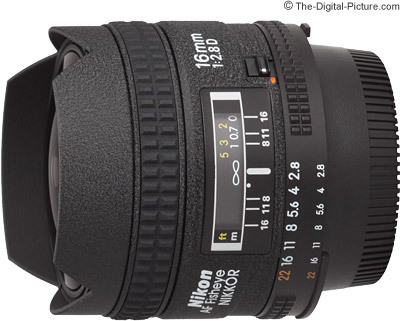 Looking completely past performance and functionality, I'm going to pick the Nikon 16mm Fisheye Lens. There were some Tokina lenses that had my attention, but ... sorry Nikon. The 16's gnarly (not in the good way) design elements include a short, built-in lens hood, crinkle paint finish, coarsely patterned focus and aperture rings, a part sticking out, lots of white paint (with a little yellow and orange thrown in) and an aperture ring marked in two different font sizes. The nearly $1,000 price tag really sets off this homely (by the North American definition) looking lens. Your turn. Which lens do you think is most in need of a design modernization? Permalink: What is the World's Ugliest Lens? Just as many retailers depend on the Christmas holiday shopping season for their necessary support, we depend on your support during the Christmas holiday shopping season to keep this site going (and to keep it free to all). Our support page details the various ways that you can help keep us going, but the primary way we receive the necessary operating revenue is through your purchases. At no extra cost to you, starting your shopping using any links on the site provides the significant percentage of what is needed to keep us going. Note that support comes from the purchase of anything, not just camera gear. And while the Christmas shopping boost is as important for us as it is for retailers, making this site your first stop when shopping year round is even better. The first reminder I want to share is that, just because you see a sale advertisement this Christmas season, including those mentioning "Black Friday" or "Cyber Monday", doesn't mean that the price being advertised is a great one. Many of the items printed large or displayed large on a web page are at the same "sale" price as they have been for quite some time and are available for the same price (or less) at other retailers. For example, ads for Canon cameras and lenses often utilize an existing rebate to promote a "special" and B&H probably has the same or better price. My second reminder, primarily for those of us in the USA, is that, even though start of the Christmas shopping season is ever-earlier, the Thanksgiving holiday is yet to come. Do not skip anticipation and celebration of this great holiday. Plan now for a special time of giving thanks with family and friends. You and those around you will all benefit from this celebration and the state of heart that giving thanks brings with it. I'll get us started by saying, thanks for your continued support! It is greatly appreciated. Without you, this resource would not exist. A couple of years ago I finally converted all my Manfrotto RC2 Quick Release plates and clamps to the Arca-Swiss standard. Looking back, I don't know why I waited so long. 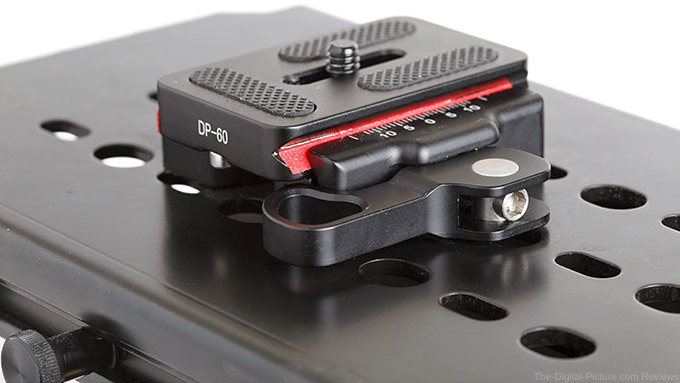 Arca-style plates and clamps lock down your gear so well that they've become the industry standard in camera support. And thanks to the system's popularity, you can buy Arca-style plates and clamps from a myriad of manufacturers, meaning there's a brand to fit nearly every budget. As there aren't a lot of technologically demanding aspects of the plate and clamp system, I oftentimes buy well-reviewed (and significantly less expensive) plates and clamps from the cheaper brands like Sunwayfoto and Desmond. Generally speaking, I've been very happy with these price conscious brands. Unfortunately, there's a small catch. Even though the Arca system is indeed an industry standard, there still seems to be some variation in the widths of plates among the wide range of manufacturers. If you're using a typical quick release clamp that is tightened with a knob, the slight variation in plate widths is no problem and you can use any plate with utter disregard for the brand name. But if you're using a clamp with a lever release, things can get a big trickier. A lever release is designed to clamp down with a sufficient amount of tension at a very specific width. Even though the clamp can typically be adjusted to different widths, the adjustment usually requires the use of a hex key. If you're using several plates from a range of manufacturers, the adjustments necessary would be less than convenient when switching between cameras. This is the exact problem I experienced with a recent QR plate purchase. I own a Glidecam HD-4000 that I use for video production. As I wanted to use the gimbal stabilizer with more than one DSLR, I decided to use an Arca-style clamp on the top to make switching out cameras faster and easier. Finding just the right QR clamp proved challenging as I needed one whose clamping mechanism did not extend beyond the bottom of the base of the clamp. That requirement ruled out all of the knob style clamps I came across. The one product I found that worked was the Desmond DLVC-50 Lever Clamp (seen above). Its tensioning lever does not extend past the base of the clamp meaning that it can sit flat on top of the Glidecam. Its "skeleton" design saves weight and the hole in its lever makes it easy to tighten and release even with the camera in place. I adjusted the clamp with the included Allen wrench so that it provides the optimal tension when used with my Kirk L-brackets and the setup worked well – but not perfectly. I'm a huge battery grip fan and both my cameras have L-brackets designed for use with the battery grip. And while using a battery grip with the Glidecam works, it's trickier getting everything balanced when the weight of your camera and lens sits that much higher off the stabilizer's base. Therefore, I bought a universal QR plate for the times I wanted to use the Glidecam with a battery grip-free camera. Unfortunately, the plate proved very slightly narrower than the Arca-style plates on the Kirk L-brackets, meaning that the plate would slide back and forth in the clamp when tightened. Or in this case, technically speaking, spike tape (a narrow width gaffer tape). I cut the gaffer tape so that it would fit along the lower half of the groove where the QR clamp should come into contact with the plate. Two small strips (one on each side) was all it took to provide the perfect amount of friction between the plate and the clamp. If I had needed an even smaller adjustment, could have used gaffer's tape only on one side of the plate. Will this solution work forever? Probably not. With enough use, the tape would likely wear down enough to warrant replacement. However, my guess is that because the tape is consistently being squished against the plate via the clamp, it'll stay in place relatively well. It should only experience wear during the mounting and unmounting of the camera, thereby leading to a relatively long lifespan for the fix. In the end, a $12.50 plate and a few cents of spike tape worked just as well for my needs as buying a comparable Kirk-branded, $50.00 plate. Gaffer's tape never ceases to amaze me when it comes to its usefulness in photography. 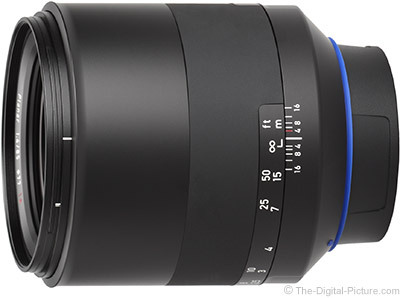 Image quality results have been added to the Zeiss Milvus 85mm f/1.4 Lens page. Unlike many of the new Zeiss Milvus lenses, this model has a new optical design. The difference between the Zeiss Milvus 85mm f/1.4 and the previous version of this lens is dramatic! Nicely done, Zeiss! Another comparison that warrants discussion is the Zeiss Milvus 85mm f/1.4 vs. Zeiss Otus 85mm f/1.4 lens. The Otus retains the lead in center of the frame performance, but ... the Milvus is sharper in the corners. Adding support to these results is the MTF comparison between these lenses. This performance combined with a price tag that is far less than half of the Otus is going drive popularity of this Milvus lens model. B&H has the Zeiss Milvus 85mm f/1.4 Lens in Nikon mount in stock with the Canon mount version available for preorder. When Opportunities Arise Around the House, Which Lens do You Grab? What is your favorite around-the-house lens? Permalink: When Opportunities Arise Around the House, Which Lens do You Grab?